Tonsillitis refers to infection of tonsil gland in throat behind tongue by a virus. It swells, pains and doesn't allow to eat any food or even to talk more! This infection can recover with or without any medication if our immune system is good. Tonsils gland in throat are to prevent virus and bacteria infection, and also stimulates the immune system to fight against it. Tonsillitis affects any age, more commonly for children and teens. For some, the infection on tonsil gland may be frequent or more than 5 times in a year are advised for Tonsillectomy which refers to removal of tonsil gland to avoid problems related with tonsillitis such as breathing problems due to swollen tonsils, trouble in swallowing foods, to kill cancer cells in tonsils preventing throat cancer etc. Tonsillectomy are commonly done for children as an preventive measure and it did not give you any side effects. 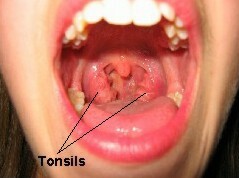 But tonsillectomy is not necessary for everyone, only for people having frequent tonsillitis and breathing difficulty. Sometimes tonsillectomy are done along with adenoidectomy (removal of adenoid gland in nose, done to aid breathing). Need to consult with your doctor before going for these removals! 1. By medical treatment, need to follow antibiotic tablets prescribed by doctor such as ibuprofen, paracetamol, which reduces pain and fever! Surgery(tonsillectomy) is optional! Complete the medication period even though you feel better, it will help you to prevent it in future! 2. Gargle with warm salty water and spit it out, after having food!Follow it for 3-4 days atleast once in a day, Most common way to treat tonsillitis. 3. Instead of hard foods, have plenty of fruits as juice ( carrot juice mixed with cucumber juice and beet juice helps in fighting infection), soft foods, more fluids such as milk and water to keep up the health. 4. Apply ice pack or cold pack directly over the swollen area to reduce the pain! 5. Drink a glass of boiled milk mixed with a pinch of turmeric powder and pepper powder, have it before going to sleep for 3-4 days! 6. Cut a lemon into half and sprinkle some black pepper and salt over it, press it inside using a spoon. Lick it till the entire juice has been extracted! 7. As one of old herbal treatment to tonsillitis using garlic , boil two cloves of garlic in in one cup of water. After heating, strain garlic and cool it, add honey to it! Have it once in a day! 8. 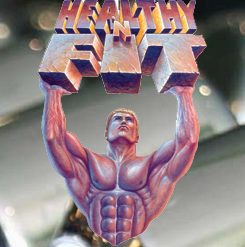 Follow a regular exercise and healthy foods, fruits, green vegetables to live free of disease! Have a great day!